The countdown is on to the 5th annual Edmonton Airshow! For the most up-to-date information, ticket releases, performer announcements and more, subscribe to our newsletter below or visit us on social media! We can’t wait to see you this August! The Canadian Forces Snowbirds team will show off their teamwork at the 5th Annual Edmonton Airshow. You’ll see pilots fly fast in loops, rolls and solo passes. Sometimes too close for comfort, the wings will move through magnificent manoeuvres. 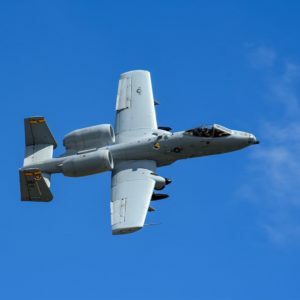 Edmonton is one of only two Canadian airshows welcoming the A-10 Thunderbolt II Demonstration Team from Arizona in 2019. These planes support ground forces. They fly low and slow. They take off short and land anywhere. 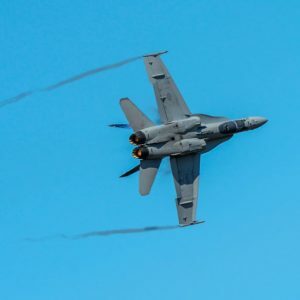 The CF-18 Hornet Demonstration Team will take your breath away. You’ll witness the fighter jet’s superior agility, as it completes vertical climbs and 360-degree turns defying the laws of gravity before your eyes. 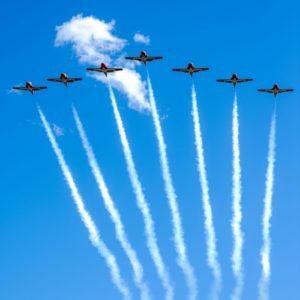 We'll send you updates on the 2019 Edmonton Airshow including sales, contests, performer announcements, and much more!